These numbers reflect estimated student expenses for the 2018-2019 school year. Amounts will change slightly from year to year, but as the cost of college increases, the scholarship packages will correspondingly increase. Your official financial aid award will be included in a letter directly from Wellesley. Outside funding reduces self-help (student contribution and student employment) before making any reduction to grant assistance. Wellesley requires all students to have health insurance, either through the college or their family. For QuestBridge Match students not covered by a parental plan, the College will award a grant to cover the cost of health insurance. Students are expected to cover their own travel expenses as part of their contribution from summer work and/or academic year earnings. Travel allowances are based off the permanent home address of the student. Students must maintain good academic standing, as defined by the institution. Students must also submit a FAFSA and verification worksheet annually. Students who study abroad junior (third) year may take out a loan because they cannot participate in work-study while abroad. Wellesley has "need-blind" admission for U.S. Citizens and Permanent Residents and guarantees to meet 100% of demonstrated need for all students admitted. 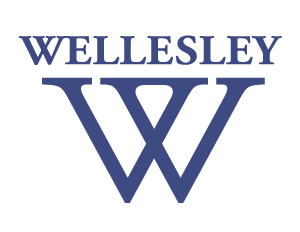 As of 2008, Wellesley has eliminated loans to students from families with limited assets and incomes under $60,000, and has dramatically reduced loans to students from families with typical assets and incomes under $100,000. During the 2015-2016 school year, Wellesley spent more than $62 million to provide need based financial aid to nearly 60% of Wellesley students. The average annual scholarship was more than $41,000. Learn more. 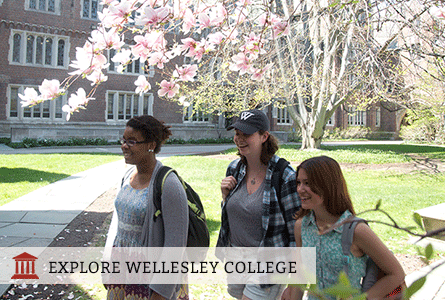 Use Wellesley's quick cost estimator My inTuition to determine the financial aid for which you are eligible.